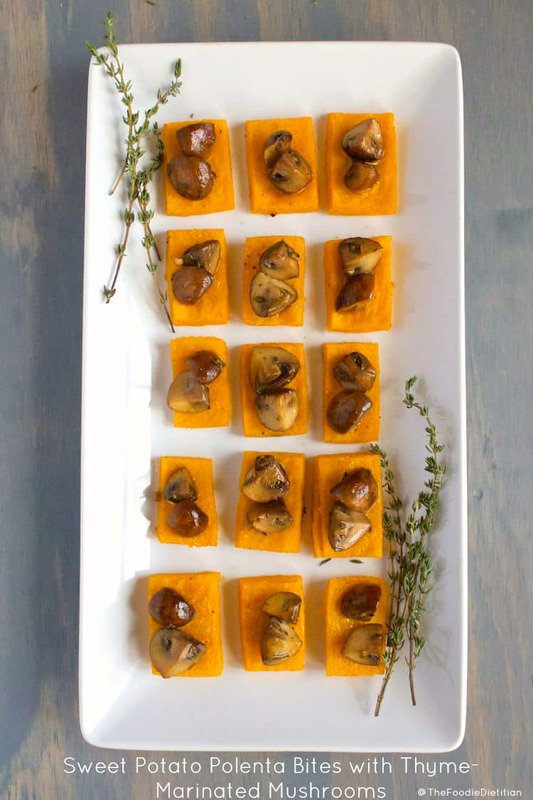 Perfect as a Thanksgiving or holiday appetizer, these sweet potato polenta bites are topped off with a deliciously savory thyme-infused mushroom marinade. 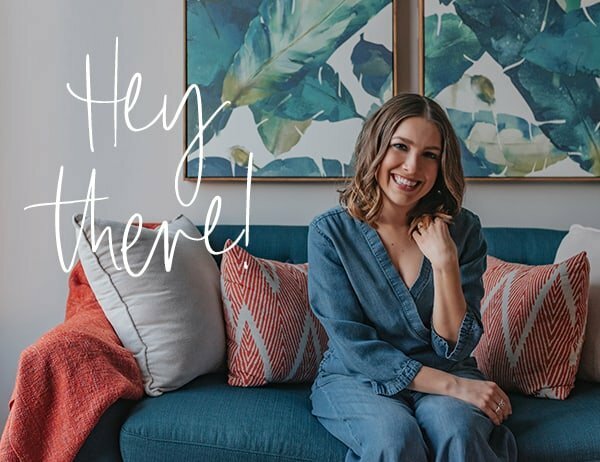 Your guests won’t be able to keep their hands off them! I have polenta coming out of my ears right now. Seriously, thank god I can freeze the stuff because WHOA. This is what happens when you set out with a recipe idea in mind and then you change your mind 5 times. But the evolution of the recipe development was worth it because I’m in love with the final product. Let me explain the thought process that led me to tupperware upon tupperware of sweet potato polenta. First, I knew I wanted to make sweet potato polenta. It’s been on my recipe inspiration list for some time now. Actually, my Mom told me she had some when she tried her tempeh and butternut squash tacos. 2 for 2, Ma, way to go. I figured I would just make creamy sweet potato polenta and call it a day. And to make it extra creamy, I thought I’ll add Greek yogurt. Well, the yogurt overpowered the sweet note from the sweet potato and made it look lighter and more yellow. I shot it anyways. With this delicious spicy vegetarian chili I just adapted from a Whole Foods recipe. It looked beautiful. But it looked yellow. Not sweet-potato orange. It also in no way resembled the holidays in the least. Chili on Thanksgiving? Not happening. So I started thinking how can I turn sweet potato polenta into something festive? 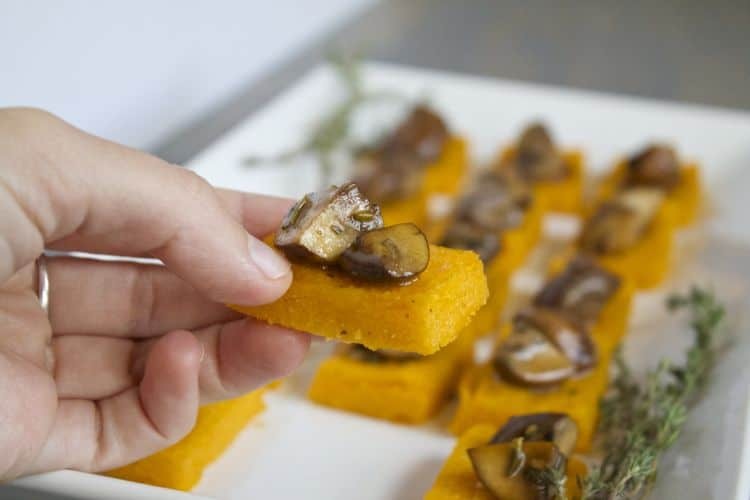 Polenta bites! I made caprese polenta bites for a friend’s bachelorette party over the summer and everyone loved them! So I made another batch of sweet potato polenta (this time sans Greek yogurt), cut it into small squares, and baked it! Oh, and topped it off with these deliciously savory and holiday-reminiscent thyme-marinated mushrooms. Preheat oven to 375 degrees. 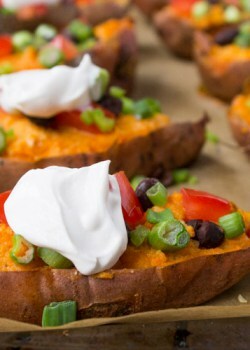 Pierce holes in sweet potatoes using a fork. Place potatoes on a baking sheet and bake for 45-60 minutes, or until fork-tender. Let cool. In the meantime, in a medium saucepan, bring 2 cups of water to a rapid boil. Add salt. While whisking, add corn meal to the water. Continue to whisk until polenta begins to thicken (about 1 minute). Cover and cook for 30 minutes, stirring every 10 minutes or so. Using a spoon, remove the flesh of the sweet potato and add to a food processor. Pulse until smooth texture. Once polenta is done cooking, remove from heat and stir in the sweet potato until combined. Pour polenta out onto a small baking sheet and use a spatula to spread out so that it’s evenly distributed (should come right up to edge of baking sheet). Refrigerate for about one hour or until set. Preheat oven to 400 degrees and line another baking sheet with parchment paper. Cut polenta into even squares (should make 32 squares) and transfer to the lined baking sheet. Bake polenta squares for 30 minutes, flipping them over halfway through. In a medium saute pan, add olive oil over medium high heat. Add mushrooms and cook until they begin to caramelize (about 5 minutes). Add garlic and cook for a couple minutes, until fragrant. Add thyme and cook for another minute. Add lemon juice. Once lemon juice has evaporated, add the wine, turn down the heat, and let simmer until it cooks off (about 10 minutes). 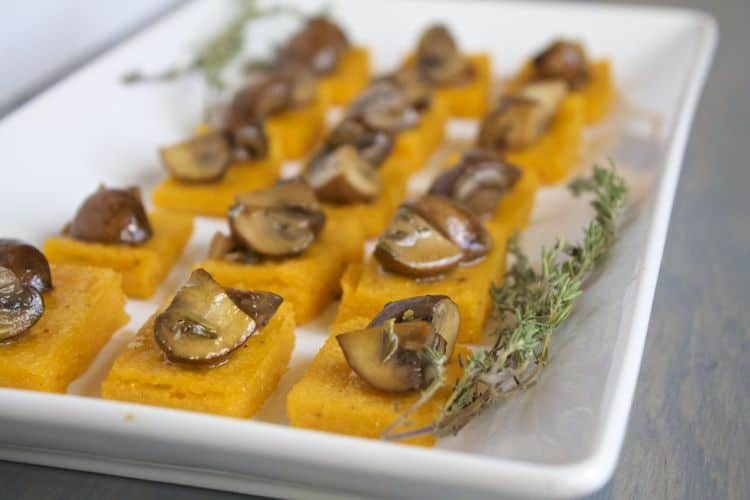 Top polenta squares with marinated mushrooms (about 2 mushroom quarters per square). Serve warm. These were so delicious that Steve and I polished these off pretty quickly. If you’re wondering where to find us over the next couple weeks, we’ll be eating polenta from now through eternity. I kinda don’t hate it though. These look SO good! 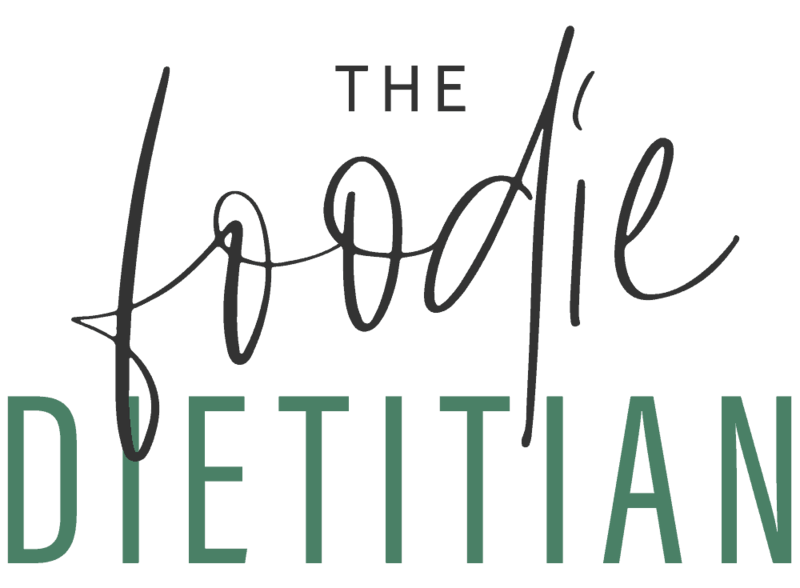 Cannot wait to add them to my menu!! Yum! 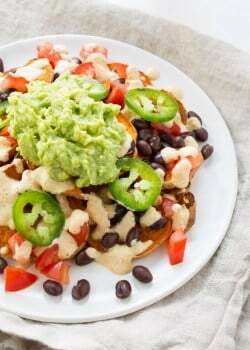 This looks like an amazing Thanksgiving appetizer! Ok, wow! These look perfect! I want to make these for an app for Thanksgiving. If I were to make them ahead of time, at which step should I freeze them? Thanks for the great idea! 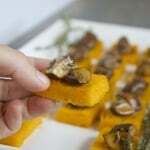 Sweet potato polenta- What a great idea! 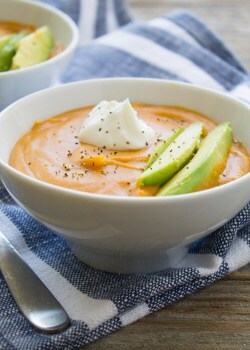 The flavors in this recipe look fantastic. They would pair so nicely with other Thanksgiving dishes. Definitely pinning to make. Truth be told I don’t make polenta that often enough either. But I would eat it everyday 🙂 Especially these bites. What a perfect Thanksgiving appetizer!! I would’ve gladly taken some from you 🙂 Going up on my round-up tomorrow!! Awesome! Thanks! It’s probably on my top 10 too. I love it! 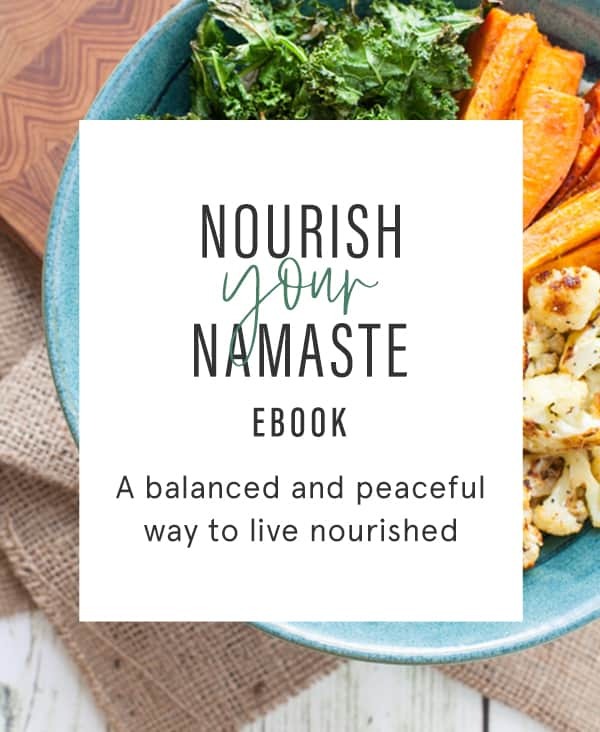 The sweet potato polenta alone sounds so yummy and then you added that amazing topping- wow! Thanks, Sonali! It was really good creamy with that topping too! Sweet potato polenta! That’s genius! Haha one day too late to the sweet potato round up party! I love polenta but I ESPECIALLY love crispy polenta. It was super easy to make too.